Plumbing emergencies can occur any time. Often these crises involve considerable inconvenience, or even a life threatening emergency, such as when a broken pipe floods a basement and risks exposing electrical circuits to water. It pays property owners to retain the services of a capable, dependable plumbing company that will respond immediately to requests for emergency service. Although preventing an emergency plumbing incident may not be possible in every situation, property owners can take some intelligent steps to reduce the likelihood of a problem arising unexpectedly. Under the circumstances, the old adage “an ounce of prevention is worth a pound of cure” generally applies. The American Red Cross reports that one frequent cause of plumbing emergencies involves water pipes that burst during cold weather. Its website explains that frozen water expands. Therefore, if poorly insulated water pipes encounter extremely cold temperatures and the water inside freezes, the pressure of the expanding ice can sometimes cause leaks, or even ruptures. This situation may not become apparent immediately to residents. Homeowners can prevent some of these emergencies by preparing for cold weather in advance. Simply draining outdoor lines (such as sprinkler systems and pools) in accordance with a manufacturer’s instructions can prevent some ruptures. It is also a wise idea to request a plumber to winterize a property that will be vacant for a protracted period of time, such as an unoccupied house or building. If pipes burst and then frozen water thaws into an empty structure, considerable damage can sometimes occur. It makes sense to take precautions to avoid this type of crisis. 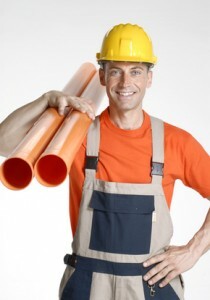 A plumber often can recommend the best way to help maintain pipes that run through exterior walls. A homeowner may not always know when this situation occurs, but plumbers can provide helpful assistance in devising a plan to protect exposed pipes and water faucets, at least to the extent possible. For example, a homeowner may find that installing a central heating system significantly warms a premises during winter, reducing the likelihood of broken pipes. 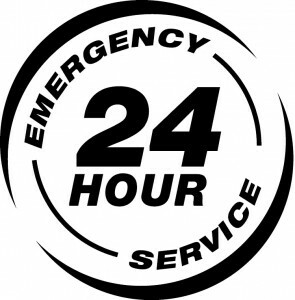 First and foremost, by retaining a plumbing service that responds promptly to routine service call requests, homeowners gain the assurance that plumbing issues will not aggravate unnecessarily over the course of time into significant emergencies, as a result of service call delays. Unfortunately, however, not all emergencies can be avoided through preparation. For an Emergency Plumbing job in the Bellingham area, Eagle Plumbing and Heating is the company for you! Call (360) 318-9999 and get the experts on it.